Pedestrians crossed the campus of Harvard University. On Wednesday, we filed a lawsuit against the Harvard Corporation over its investments in fossil fuels. As student members of the Harvard Climate Justice Coalition, we’re demanding that our university stop profiting from the destruction of the earth’s climate and that it divest its holdings in gas, oil, and coal companies. Our legal claims are simple. Harvard is a nonprofit educational institution, chartered in 1650 to promote “the advancement and education of youth.” By financially supporting the most dangerous industrial activities in the history of the planet, the Harvard Corporation is violating commitments under its charter as well as its charitable duty to operate in the public interest. We’re also suing on behalf of future generations. By investing in the extraction of fossil fuels, the Harvard Corporation is actively supporting the destruction of the earth’s atmosphere and the catastrophic consequences that will be visited upon our children and grandchildren. It is our duty to give voice to these coming generations and to hold the Corporation accountable for its reckless and shortsighted behavior. Our suit charges that the Harvard Corporation is breaching its duties under its charter by investing in fossil fuel companies. Our second count is a novel tort claim, intentional investment in abnormally dangerous activities, that is based in well-established legal principles regarding liability for promoting especially hazardous behavior. As law students (the other four plaintiffs in the suit study physics, biology, history, and literature), we also recognize that courts — like our other institutions — have been slow to address global warming. In bringing this lawsuit, we hope to push our legal system toward a more responsible, and more realistic, reckoning with the disaster of climate change. The Harvard Corporation may twiddle its thumbs while the temperature rises. But the planet cannot wait. 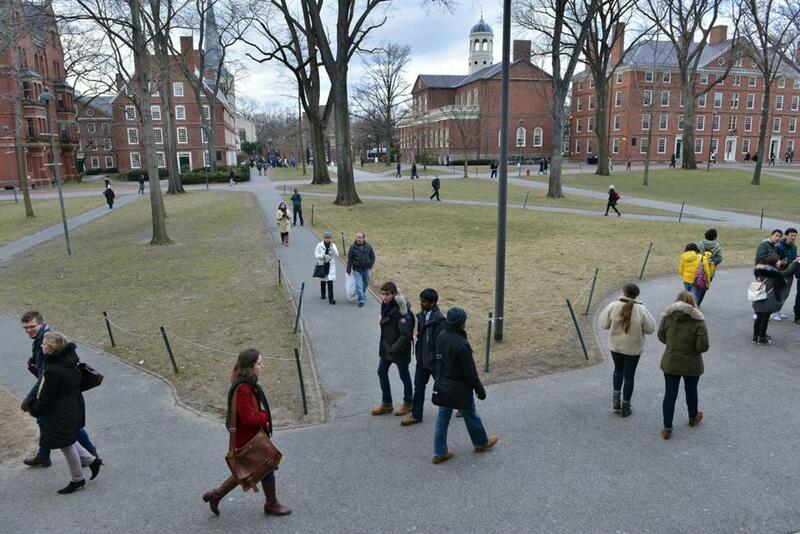 The debate over fossil fuel divestment is nothing new at Harvard. For the past three years, a robust student movement has called upon the Corporation to live up to its ideals and to dissociate itself from one of the world’s most harmful industries, as many universities, churches, and cities have already done. But instead of engaging in an open and sober discussion about divestment, the university’s administration has resorted to attacking students’ credibility and even arresting them. With the price of inaction so high, students will continue to press for change on campus as we pursue a remedy in the courts. By bringing the divestment campaign into the courtroom, we hope to shine a bright light on the powerful interests that have stymied collective action on global warming and to hold accountable the wealthy institutions that stand in the way of change. For too long, the debate over climate adaptation and environmental harms has kept a narrow focus on economic impact and corporate bottom lines. With the seas rising and the Intergovernmental Panel on Climate Change warning the world of impending natural disasters, food scarcity, and species extinction, it’s time to change the way we do business. University President Drew Faust has claimed that divestment is inappropriate because our university’s endowment is intended only for academic purposes and because Harvard’s divestment would have no discernible impact on fossil fuel extraction. President Faust is wrong on both counts. A university that embraces free scholarly inquiry and the promotion of the public good cannot remain honest while doing business with companies that spread scientific falsehoods, lobby against clean energy, and condemn the planet to a compromised future. By divesting from fossil fuels — as it already has from apartheid, Darfur, and tobacco — Harvard will send a powerful moral message that will catalyze the kind of conscience-driven action needed to reverse our institutional inertia. The Harvard Corporation prides itself on being the Western Hemisphere’s oldest corporation. But this proud legacy means nothing unless the Corporation is willing to live up to the ideals upon which it was created. So long as our university administration chooses profits over the health of the planet and its people, it will be complicit in the greatest danger ever faced by humankind. Our lawsuit simply aims to bring the Harvard Corporation back to its senses. Alice M. Cherry, Joseph E. Hamilton, and Kelsey C. Skaggs are students at Harvard Law School and members of the Harvard Climate Justice Coalition.